Happy Halloween! 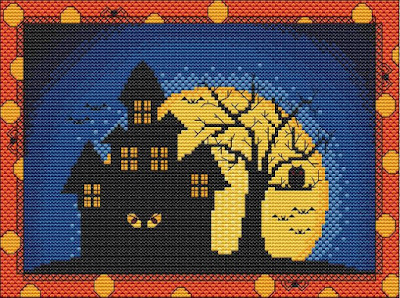 Haunted House Halloween Cross Stitch. Not Only Fun To Make, But Oh So Fun To Look At. This Pattern Is Made Of DMC Floss On 14 Count Aida Fabric. It is 119 x 89 Stitches which is approximately 8.50 x 6.36 inches or 21.59 x 16.15 cm.